Radio | Archipel e. V.
The American archipelagos are extremely important because it was in these islands that the idea of Creolization, that is the blend of cultures, was most brilliantly fulfilled. Continents reject mixing whereas archipelagic thought makes it possible to say that neither each person’s identity, nor a collective identity, are fixed and established once and for all. I can change through exchange with the other without losing or diluting my sense of self. Archipel Stations is an online community radio open for contributions from all and anyone who would like to share their voice and/or work. 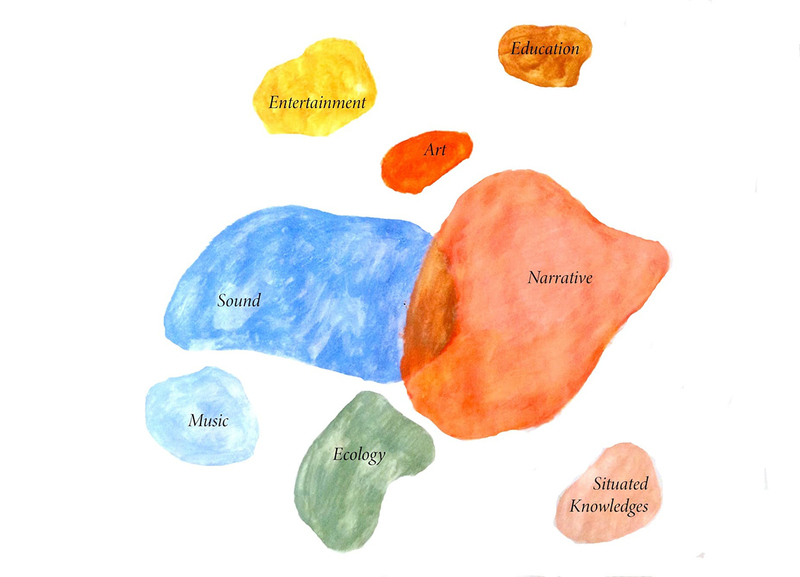 The focus is on sound and narrative, finding in these two realms strong foundations for emancipation and encounters of the personal and the political, along with oneself and otherness, through shared experience and art. Archipel Stations is programmed and curated by members and partners of Archipel e.V. Its launch is planned to take place during the month of November 2018 together with a series of occupations of different venues in the city of Berlin, from where events will be broadcasted and programs from elsewhere will be transmitted live. We welcome your contribution and encourage participants to share their sound art, music, storytelling, writing, experiences, podcasts of artistic, ecological, educational, social or political content, or simply their situated knowledges in whatever form that does not endorse hate speech or oppression in any way. We look forward to contributors of different backgrounds, ages, languages and who will transmit their material from all over the world. The programs produced by Archipel e.V. and partners include sound-walks of ecological, fictional and historical content, assemblages of bio-acoustics and field recordings, labels and musician showcases, live concerts and installations, playlists, storytelling and reading sessions of different genres and themes, sound art, interview and entertainment shows, children’s programs, programs from people deprived of freedom and colloquial lectures. Send your proposals anytime and we will try to accomodate your contribution to our program. The technical requirements are simple: all you need is a computer, microphone and internet connection. If you have any further questions just write us.